Can we let this lie? I was interested to read articles on the BBC News website, Yahoo, and watch a BBC TV News story about diminishing Integrity, in the UK. by Social Background, by Occupational Status, by Age Group, how standards have changed between 2000 and 2011 and measurements for 20 European Countries, from Russia the most honest to Portugal ….. naughty naughty! The UK seems to rank 14th … oh dear! like everything else, it seems to be getting easier to do and yet more complicated to manage. 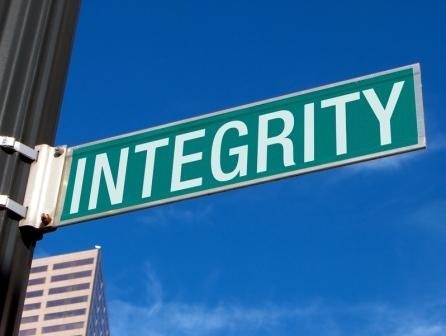 One of the principles that are vital to any form of coaching or mentoring is integrity and telling the truth is part of that. It is not only an auditory activity, it has to show up in all the other senses and be demonstrated physically – I can’t coach you to tell the truth whilst driving you to a restaurant at 50 miles per hours in a 30MPH zone! That would place me out of integrity. So I have to BE in integrity as well as speak in integrity. But there is a stage before that can happen and it is not just gaining rapport. I would call it ‘the set up’ or even ‘the mechanics’. Agreeing a platform or foundation or method where you can tell the truth, even if the other person doesn’t want to hear it! For me establishing the fact that “there is only here and now” and that “all reasons are made up” seems to work nicely. I take away as much reason as I can so I can to establish a basis of nothing from which we can create. So that I am in integrity, I have to tell you now, that this is based on the work of Landmark Education, who started my quest for truth and I don’t mean in a traditional spiritual sense. I am not seeking truth, rather living it to the best of my ability, which means that I will slip from time to time and that’s OK.
Physically, your body will react and convey that you are telling a lie. 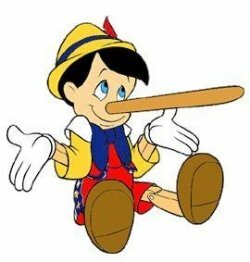 If someone is telling us a lie, unconsciously we pick up. It bothers us and we rationally calculate whether we are being told a lie or not, even though our body seems to scream to us that we are. I talk about this in another blog post: That’s a Lie! You Gotta Lie Right, right? Unfortunately, in order to recognise the truth, we have to have a measure of what that looks like, feels like, sounds like, maybe even smells like – Can you smell a rat, here? Which means we have to know what a lie is. Without the comparison, the truth would have no meaning or value, so as I say: “I will slip from time to time and that’s OK”. Its OK because it reinforces what the Truth is. Notice too that I may slip and that I am not consciously telling lies. Children live in their imaginations where it is all made up and yet I have known children being chastised for lying when actually they were exercising their imagination. The adult interprets the child’s behaviour as lying and now the child has to live a lie in order to satisfy the adult’s perception of the truth. I also know of one famous Golf Pro, who avidly denied that he ever sliced the ball even though he did. His failure to acknowledge the fact was an instruction to his brain not to process the that he sliced the ball and therefore removed the brain’s attraction to slice the ball. Our brains attract to us what we talk about in our internal dialogue. The difference is whether the lie is conscious or unconscious and the real driver is not whether something is Good, Bad, Right or Wrong or even any combination of those, rather to follow what is intended by the agreement (or rules if they exist) and do what works. 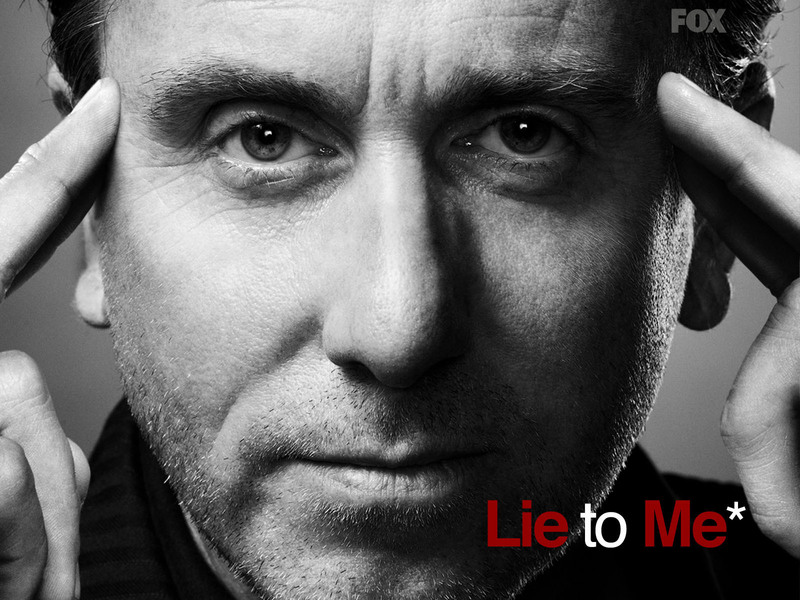 Should you lie? No! It’s not Wrong, it just doesn’t work and it leaks!